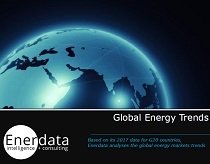 Instant access to energy and emissions forecasts. 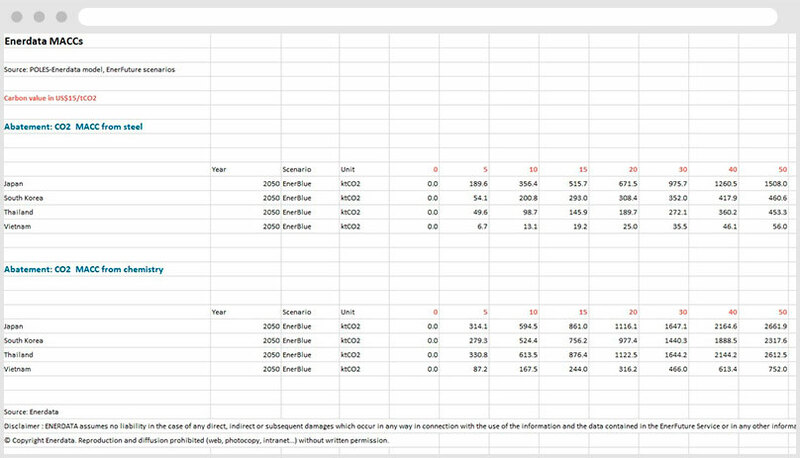 Enerdata’s long-term Marginal Abatement Cost Curves (MACC) allow you to gain unique insight and comprehensive data from the globally recognised POLES model. 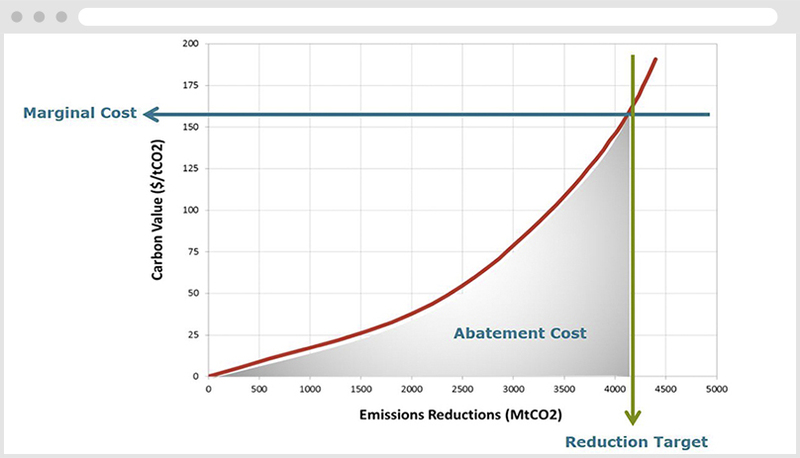 MACC are used to help shape GHG mitigation policies, set targets, evaluate future CO2 emission credits, prices and volumes. 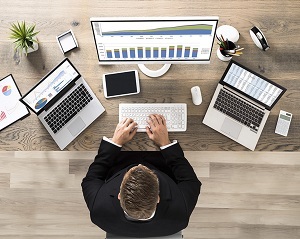 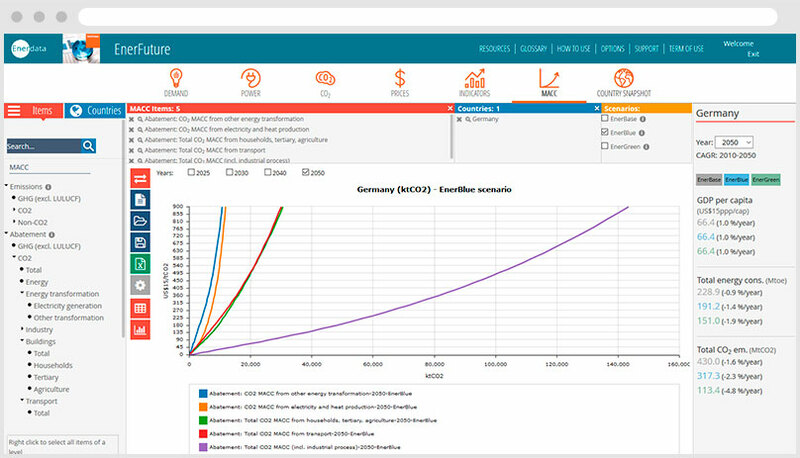 Our MACC platform is a powerful online tool used by policy makers, researchers and business analysts to assess climate policies, evaluate cost and efficiency and simulate carbon markets, such as the EU-ETS. 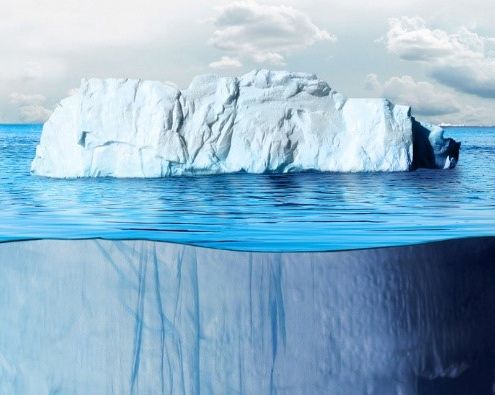 MACC provide different levels of emissions reductions that can be reached for various carbon price levels in a given year, country and sector. 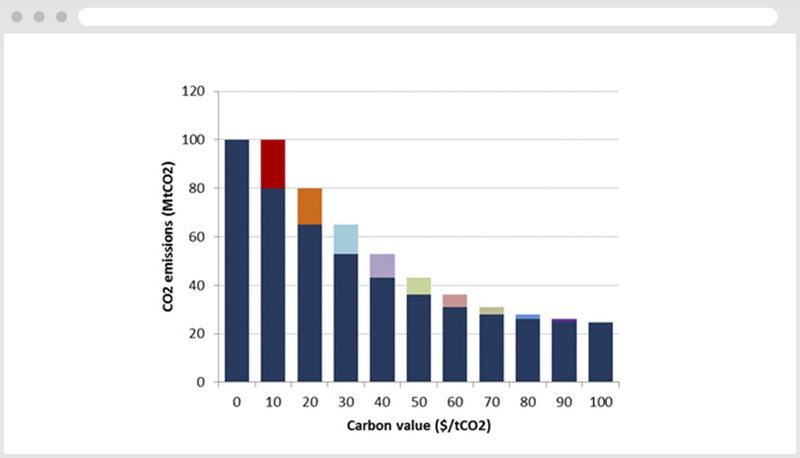 Results of these various scenarios are displayed in terms of the emission reductions achieved at different carbon values each year by country and sector.